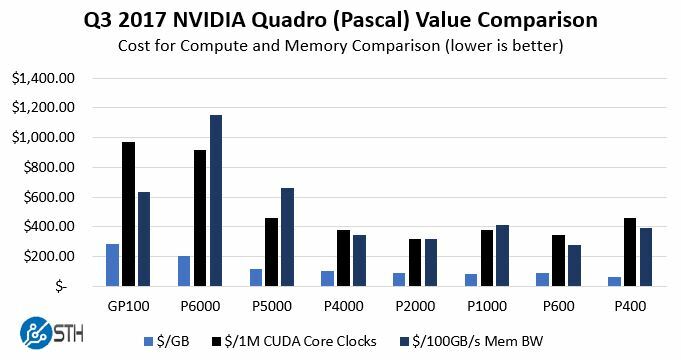 We received some great feedback on our NVIDIA deep learning / AI desktop GPU Q2 2017 value comparison and had several requests for a Quadro version. NVIDIA Quadro is the GPU maker’s “professional workstation” series. 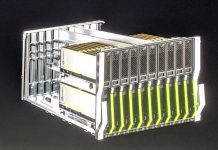 Part of what that means is that these GPUs are certified to run applications which is an important attribute when single machine licenses can run tens of thousands of dollars. We are going to use the same metrics as we used in our deep learning/ AI desktop value comparison series so you can compare them. We are also going to point out a few key differences of the Quadro cards. In terms of methodology, we used Amazon pricing for these cards during the first week of July 2017. We do want to point out that, like CPUs, OEMs that typically sell these cards may elect to sell them at discounts bundled in systems. For an example, the Dell Precision 7910 currently has an incremental cost of $4710 (after 25% off promotion) to add a second NVIDIA Quadro P6000 while the cards are only $4529 on Amazon. 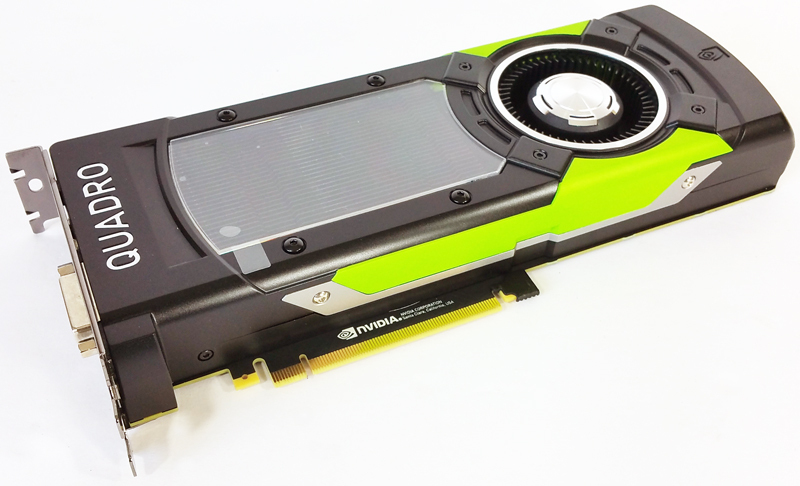 You can read our NVIDIA Quadro P6000 review for more information about that card. The point here is that pricing on higher-end workstation cards are such that the MSRP have room for OEM discounting which may end up being lower than a retailer, such as Amazon’s, pricing. 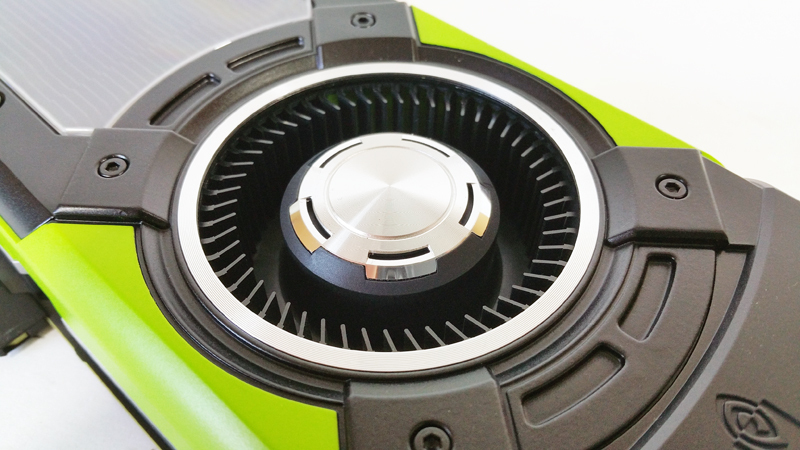 Beyond raw compute, the NVIDIA Quadro series has a number of features that we do not see on desktop GeForce GTX cards. One example is GPUDirect RDMA that allows GPUs to access PCIe fabrics directly. 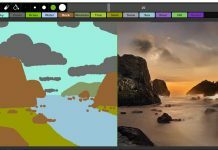 From a software perspective, costly applications often support only NVIDIA Quadro cards. When an organization or user requires ISV support, Quadro cost justifications are not solely based on compute resources. One purchases the NVIDIA Quadro line for features and certifications, not outright compute per dollar. Still, we wanted to show a comparison of the NVIDIA Quadro series that can be used with our NVIDIA GTX series comparison for those interested in building deep learning CUDA compute machines. Hopefully, our readers will find this quick chart useful for their analysis. useless and completely overpriced vs a Titan card – which as been introduced for GPU development, compute and Deep Learning. 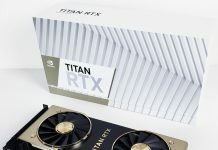 the Titan is faster than any other card, and as any functionality you want for Rendering/Deep learning/Compute, including the TCC (tesla compute) driver model. so bad politic that want to sell you a driver at 5x the price of a card, easy milking money! Nvidia should really make a MUCH MORE real difference between those cards; not only with drivers but exclusive hardware feature that people are ready to pay premium for. very hopefully, AMD vega FE profressional card, will cost the same price of the titan, and be FULLY UNLOCKED. that, perhaps will deeply hit and awake Nvidia , and make the titan back to the professional field, with true dedicated driver… or divide the price of the high-end quadro by 3.